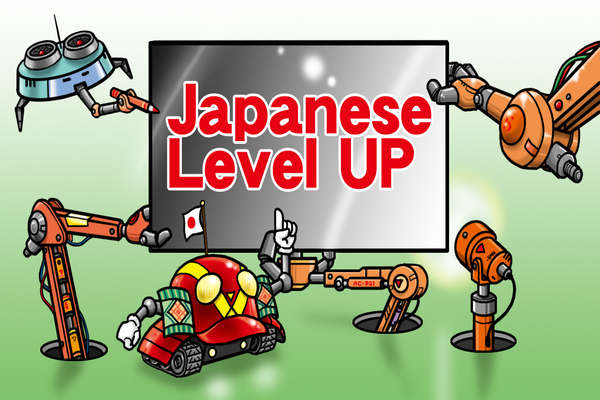 Japanese Level Up - Your Quest. Make It Memorable. 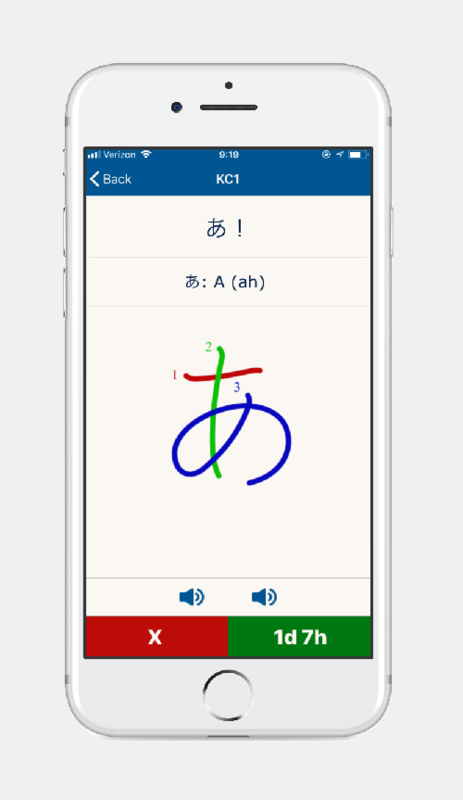 9000+ linked flash cards with native audio, teaching you everything you need to master Japanese: Hiragana, Katakana, Kanji, Vocabulary, and Grammar. Reading, Writing, Listening, and Speaking is all covered! 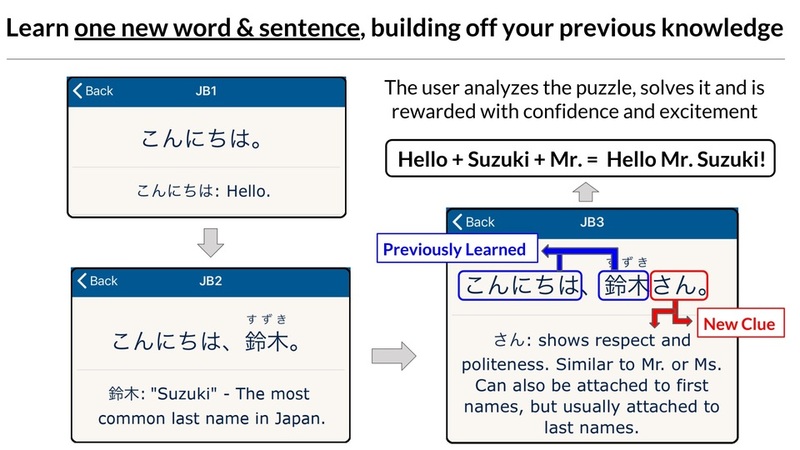 Jalup is the only app that guides you through the process of learning Japanese in Japanese. 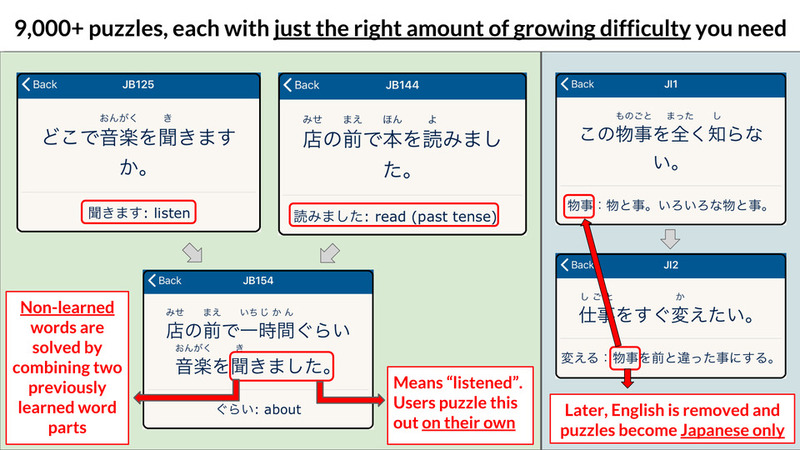 Drop the English dictionary and English translations, and get your mind fully immersed in Japanese and Japan. There’s a lot to learn. With an advanced Spaced Repetition Algorithm, Jalup intelligently plans out what and when to study, maximizing your efficiency and making sure you remember everything. Studying Japanese is tough! It drains you physically and emotionally. Jalup has over 900 blog articles and a step by step walkthrough, to help you through the tough times and always keep you motivated. 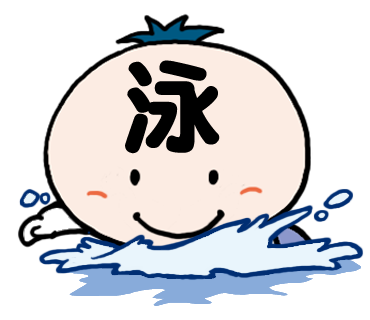 Learn how to read, write, and pronounce the kana (hiragana and katakana). These are the two major Japanese alphabets. 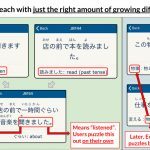 Learn all the important vocabulary, grammar, and sentence structures, creating a powerful foundation for your Japanese ability that allows you to drop the English. 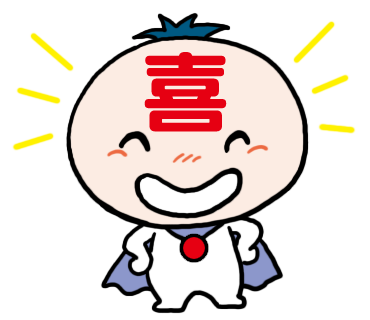 Learn the meanings of all the kanji. 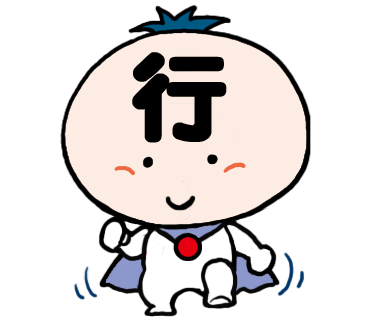 These are the thousands of picture-like symbols that are used in all written Japanese, that really bring the language to life. 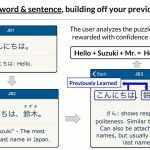 Learn Japanese through Japanese. 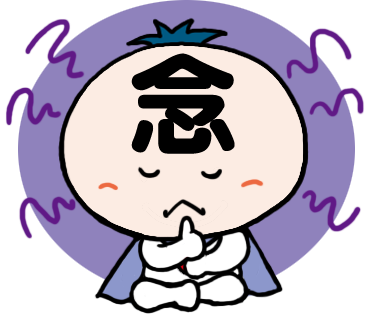 All definitions and explanations are in Japanese, created from the words you already know. Challenging? Yes. Effective? YES! 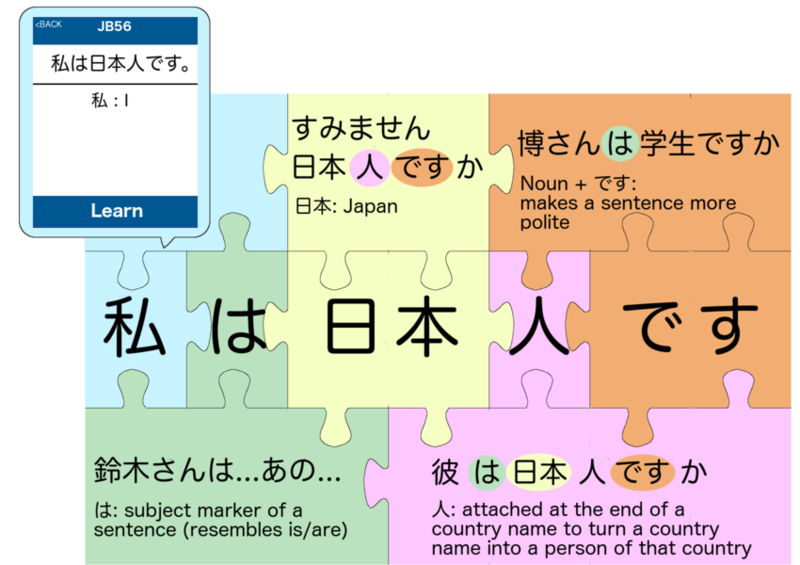 Learn more Japanese through Japanese. 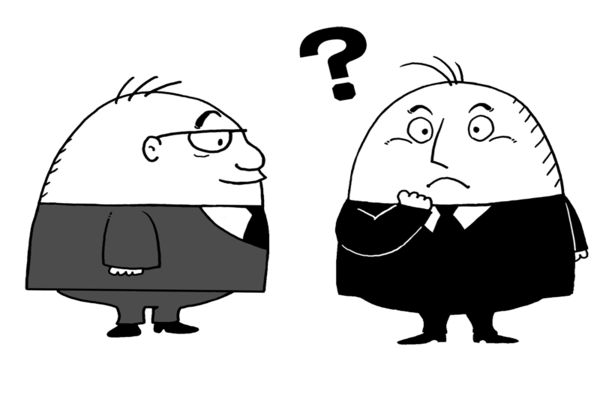 Expand on your vocabulary and grammar, as you gain a deeper understanding of how the language really works. 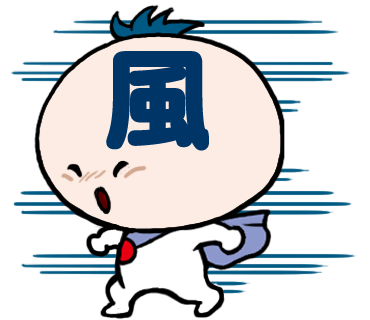 Learn even more Japanese through Japanese, pushing your abilities higher and higher! 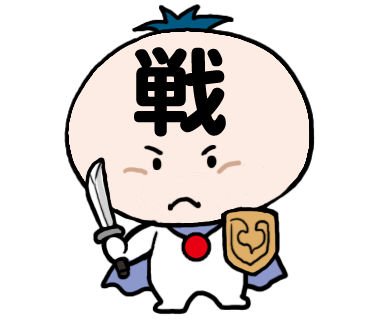 *Level 3 (Kanji Kingdom) can be done out of order. Strategy, recommendations and personal stories from a Japanese learning veteran. 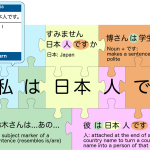 Step by step guide covering everything you need to know about learning Japanese. 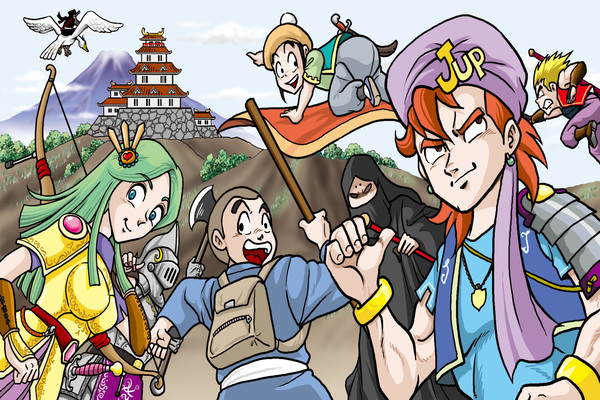 Find TV, Movies, and Manga that you can understand at your level. Simply make you fluent. No false promises. No unrealistic expectations. No stopping at just a “conversational” level.